The State Fair of Virginia’s mission is to increase agricultural awareness in a fun, family-friendly setting. One of this year’s new attractions means mission accomplished. The Agricadabra Show will teach fairgoers about Virginia agriculture using comedy and magic. Brad Matchett, who has been educating visitors to county and state fairs for the past 14 years, said Agricadabra actually began at the State Fair of Virginia. Matchett, who lives in Henrico County, previously created balloon animals and answered questions about agriculture at the fair for the Virginia Department of Agriculture and Consumer Services. “After a couple of years, I convinced them I could incorporate all the ag facts into a magic show, and Agricadabra was born,” said Matchett, who grew up in rural Arkansas and raised chickens, cattle and horses. Now he performs three to four shows a day at about 16 fairs each year. Matchett customizes his show’s agriculture information for the state in which he’s performing. At the State Fair of Virginia, Sept. 25 through Oct. 4, he will tell audiences about the average age of a Virginia farm owner, then dress up an audience member like a 58-year-old producer. He will then help the “farmer” perform magic tricks. He also will explain the difference between a broiler chicken and a laying hen and talk about Virginia’s production of each. He plans to invite audience members to help act out the song Old MacDonald’s Farm while wearing balloon hats shaped like farm animals. And at the end of the show he will discuss the amazing climbing skills of Brazilian latex tree farmers and then amaze audiences by climbing inside a 6-foot latex balloon. The attraction is “written for the whole family to laugh at,” Matchett said, and will feature as many as 10 volunteers during each show. Agricadabra will be performed three times a day throughout the fair. 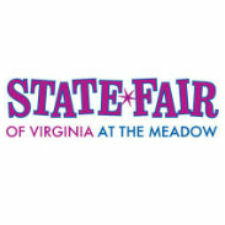 Information about other attractions can be found at StateFairVa.org.